Partner Program: The Shift Network. As a Shift Network Referral Partner we can earn income by promoting their offerings to our list, community or network of contacts. They provide emails to send to our mailing lists with registration links that our contacts click on to enroll themselves in their programs. When they do, we are credited for the sale, and earn a percentage of it. It is important to sign up for all classes with our ‘Referral Partner link’!A downloadable recording will be provided later to all who register, whether or not you listen to the scheduled event. 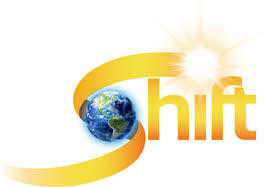 Share the post "The Shift Network"